On Day 7 of Record of the Day Week it happens to be Halloween as well. It’s appropriate that I go with my favorite funky and frightful song, right? Dusty Springfield had her fair share of horrific harmonizers; some covers, some original. I always go with her oft-overlooked gem from her abortive last days at Atlantic Records. After her Memphis and Brand New Me sessions gave her a decidedly more R&B orientated direction, her latter day Atlantic output was a weird collage of all sorts of Pop/Soul Sounds that had dominated the airwaves from the late 60’s up through the early 70’s. “Haunted” of all things, sounds like a late-stage H-D-H production from 1967 than it resembles much of anything circa Pop/Soul Summer of ’71. Perhaps that’s what I like about it; the slightly dated sound “haunts” the record just as much as the memory of a former love that’s described on the record. Nevertheless, it proved to be the 2nd to last single for Atlantic, and yet another single that avoided the Billboard Pop charts in the United States for Springfield. It did make some headway and airplay on the Cashbox charts, though. 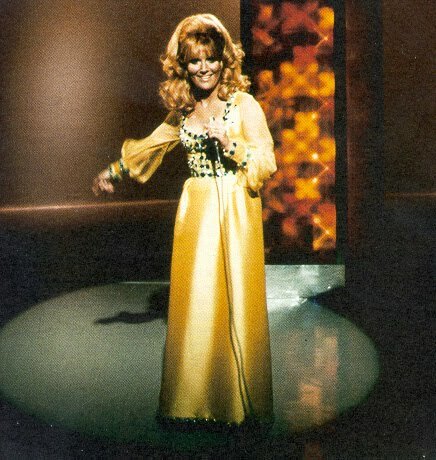 Plans for a further album with Jeff Barry (including some tracks that where already recorded) got shelved as Dusty wormed her way out of her Atlantic contract. Either way, it’s a great way to dance and dodge your fears this Halloween. Be Safe!